Kapaa Shore - Beachfront Resort on Kauai! 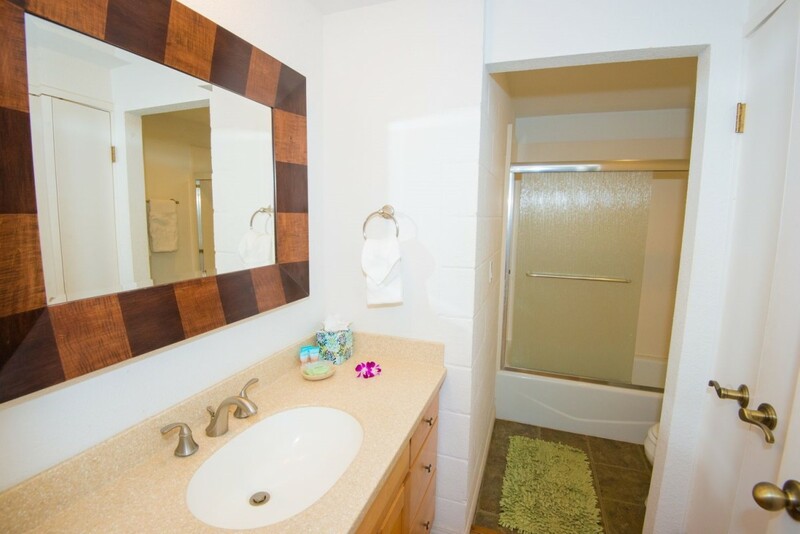 Kapaa Shore Resort Unit 117 on the 'Coconut Coast' Kapaa, Kauai Vacation Rental Recently renovated! New furnishings, bamboo wood floors, Tommy Bahama furnishings! Your Dream Vacation! 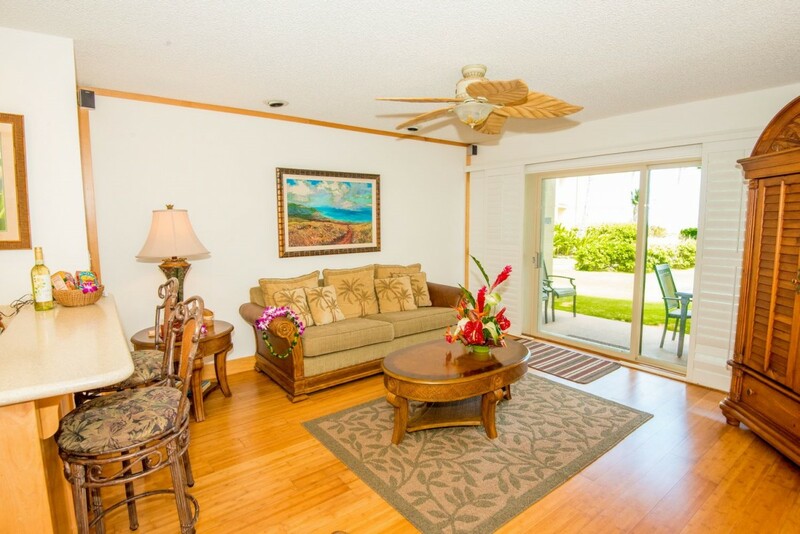 'Oceanview' Unit B117 at Kapaa Shores offering a stunning oceanview with watercolor sunrises, whale watching and romantic dinners on the lanai, with ocean and pool views. You are literally steps from the ocean and sparkling blue waters of the Pacific Ocean. Enjoy the beautiful Oceanfront Swimming Pool in a beautiful tropical garden setting just steps from your door. 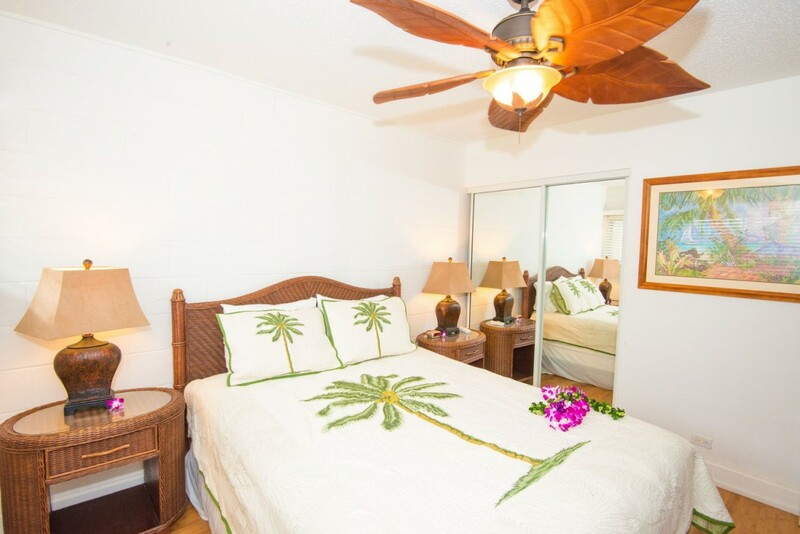 Oceanview B117 is beautifully decorated with Tommy Bahama a full equipped kitchen, a master bedroom with a queen bed and a full bathroom with shower and tub. Comfortably sleeps up to 4, with queen, and queen size sofa sleeper, 1 bathroom. 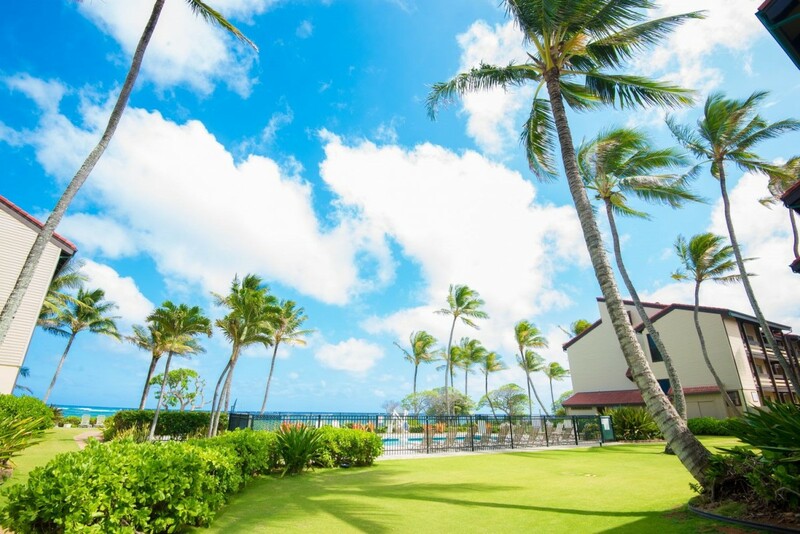 As Recommended In Frommer's Kauai Guidebook Kapaa Shore Resort is everything you could dream of when it comes to luxurious Hawaiian living in a Kauai vacation rental. 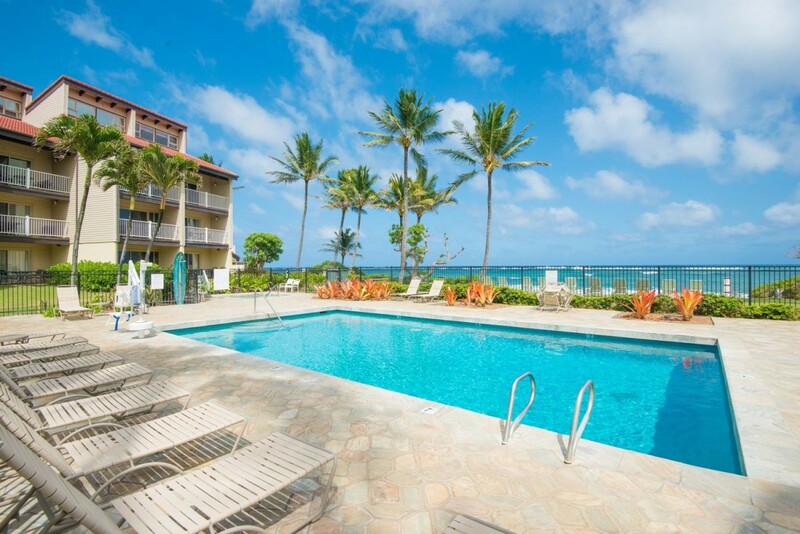 Located oceanfront in the beautiful coastal town of Kapa'a, Kauai, your Kapaa Shore Resort unit enjoys views of the resort's sun drenched gardens, pool, and beach. 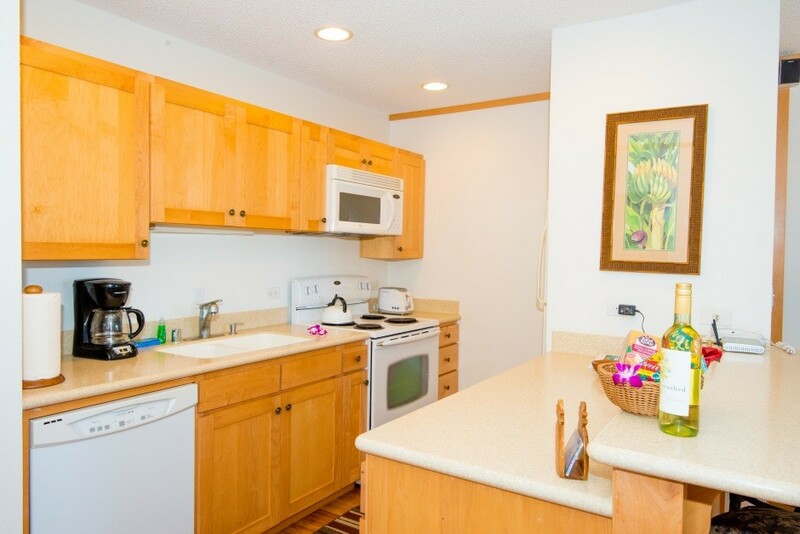 This fully furnished one bedroom Kauai vacation rental features all the comforts of home with complete kitchens, cable TV, VCR or DVD and private lanais spacious enough for outdoor dining. One bedroom sleeps up to 4. 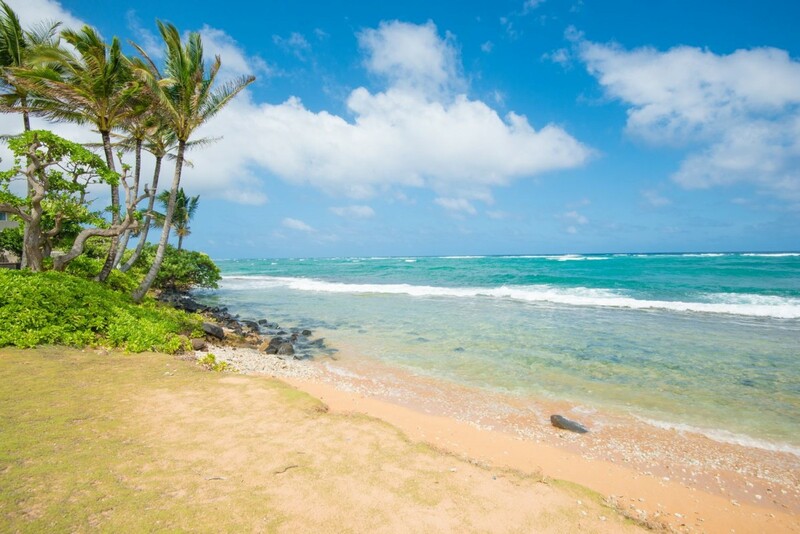 The sound of the gentle surf breaking on the close-in coral reef, acts as a constant reminder that you are truly in the heart of a Kauai vacation rental paradise. From your private lanai, watch the moon rising up from the Pacific Ocean, sunrises and during the months of November to April see the humpback whales frolicking in their back yard! An azure blue fresh water swimming pool is the Kauai vacation resort's center of activity, accented by a family size hot tub, grassy areas for sunbathing plus a shuffleboard court and barbecues. Activities: If tennis is your game, our court awaits your daily play. 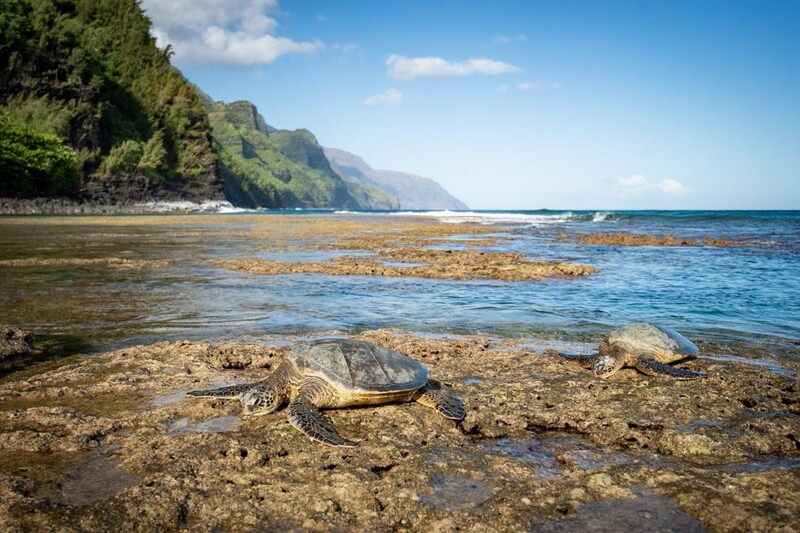 And, of course, there are miles of sandy coastline nearby for hours of beachcombing pleasure from your Kauai vacation rental. Shopping, fine dining and nightly entertainment are just a short stroll from the resort, featuring one of our many fine restaurants serving Pacific-rim cuisine, Thai, Japanese or Mexican food. Complete sightseeing, surf lessons, golf. 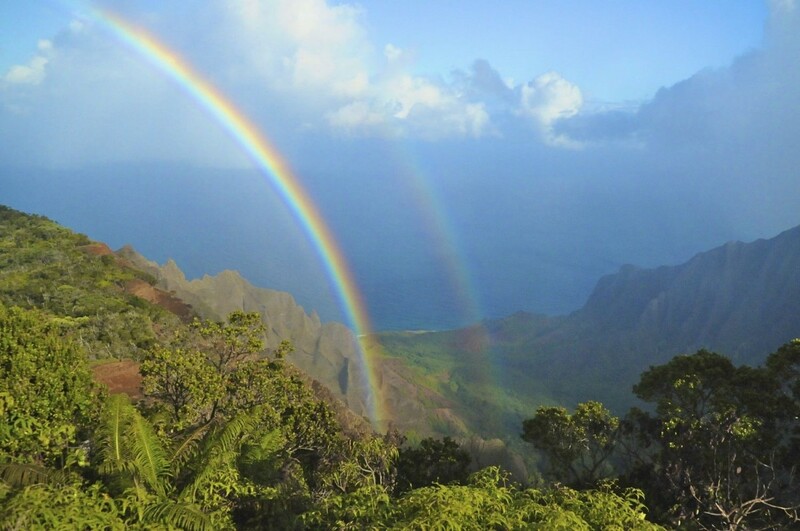 Luaus, movie tours and helicopter tours can be arranged by the Kapaa Shore staff. 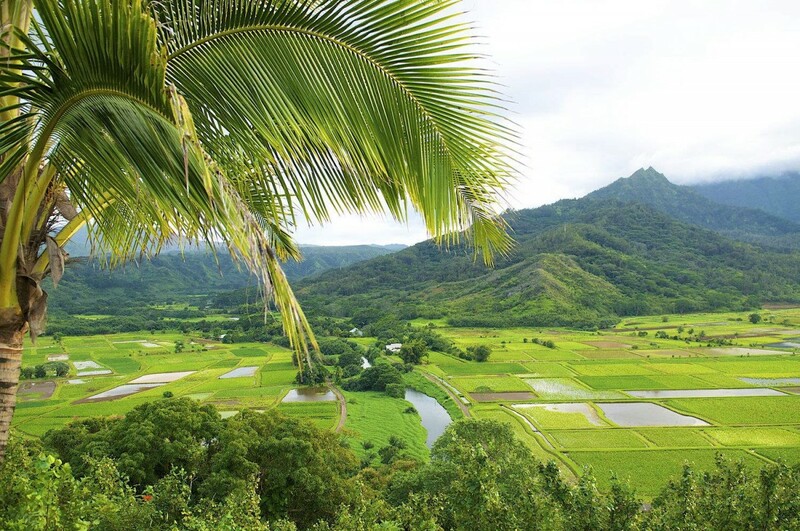 In the town of Kapaa/Wailua/Waipouli, you are only minutes away from kayaking up the Wailua River, enjoying the Fern Grotto tour, snorkeling at Lydgate Beach Park, hiking the Sleeping Giant Trail, You are also just minutes away from all of Kauai's breathtaking wonders including the tropical Na Pali Coast and Hanalei Bay, the white sands of Poipu Beach and the magnificent views at Waimea Canyon. 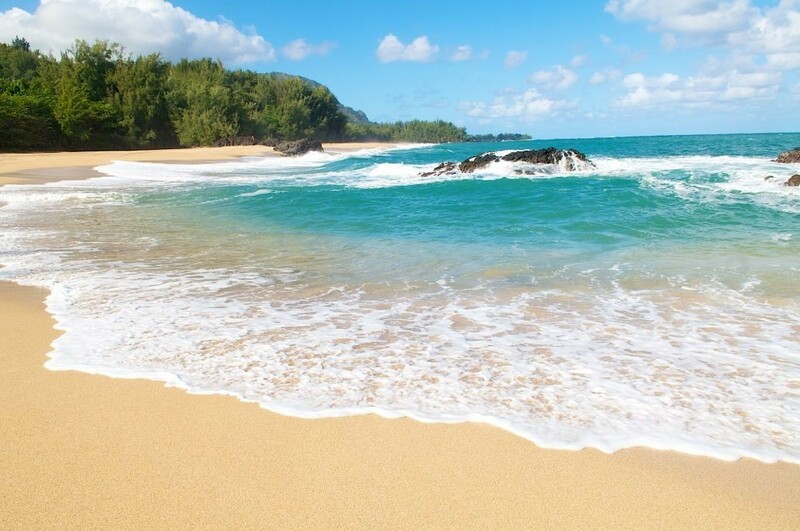 Centrally located between the North & South shore makes this Kapaa Kauai vacation rental an ideal choice for a holiday. 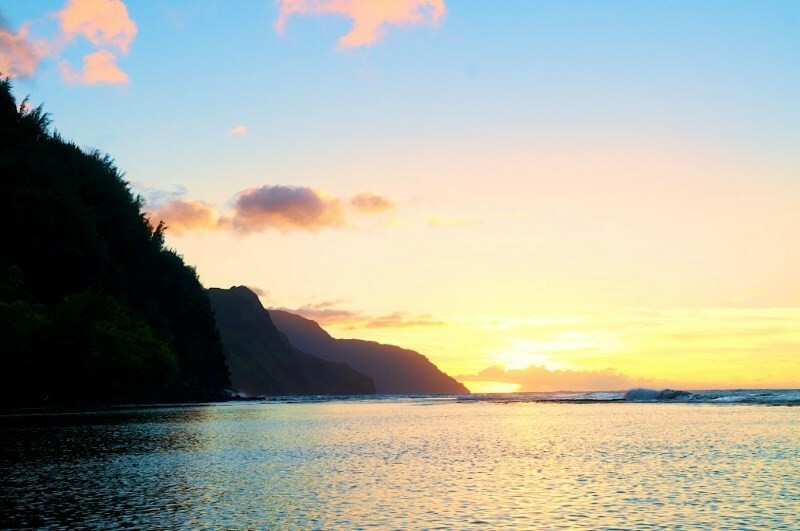 Let your stay at Kapaa Shore Resort transform your dream Kauai vacation into unforgettable reality. 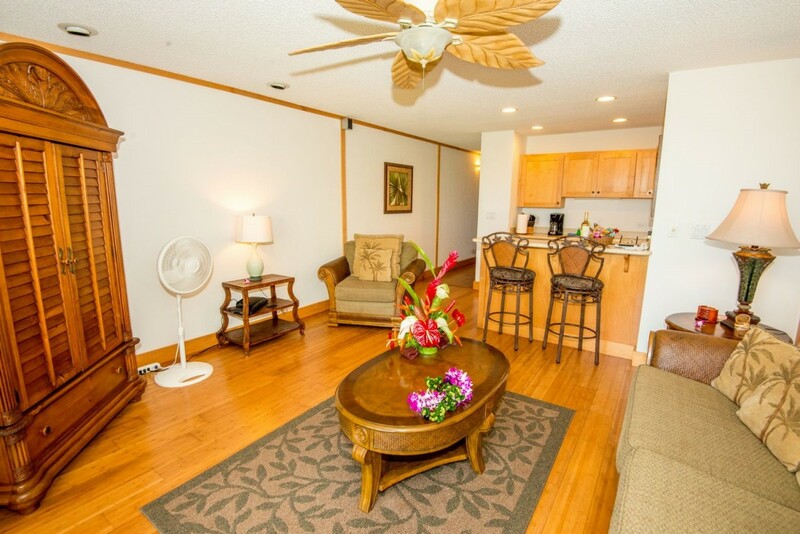 Kapaa Shore... Hawaiian oceanfront living at its very best! 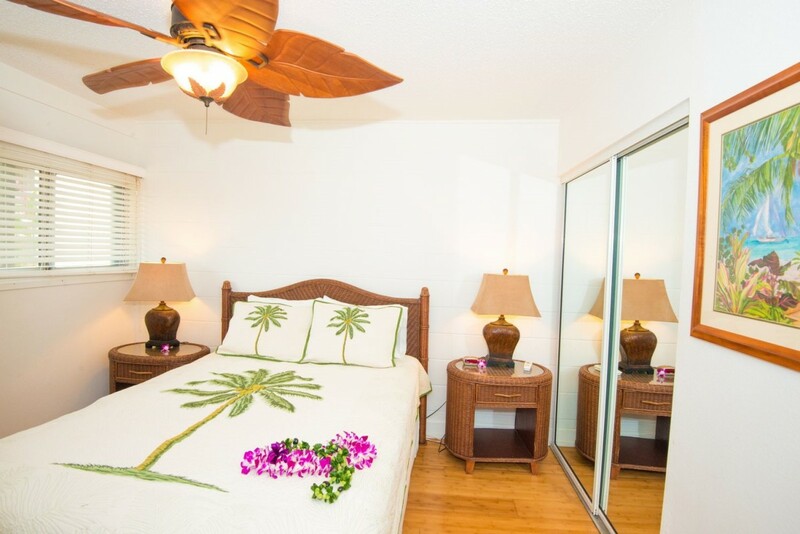 Come and stay in one of the most attractive affordable & conveniently located Kauai vacation condos on the beautiful and charming Coconut Coast of Kauai. Kapaa Shore #117 - 1B/1Ba oceanview, ground floor unit overlooking the pool to the blue Pacific Oceant. Queen size bed & queen sleeper & TV. Moonrise, sunrise views! Non-smoking unit. Kapaa Shore is a separate resort from and not affiliated with Waipouli Beach Resort. Minimum stay is 4 nights; except for Holidays, with a minimum stay of 7 nights. 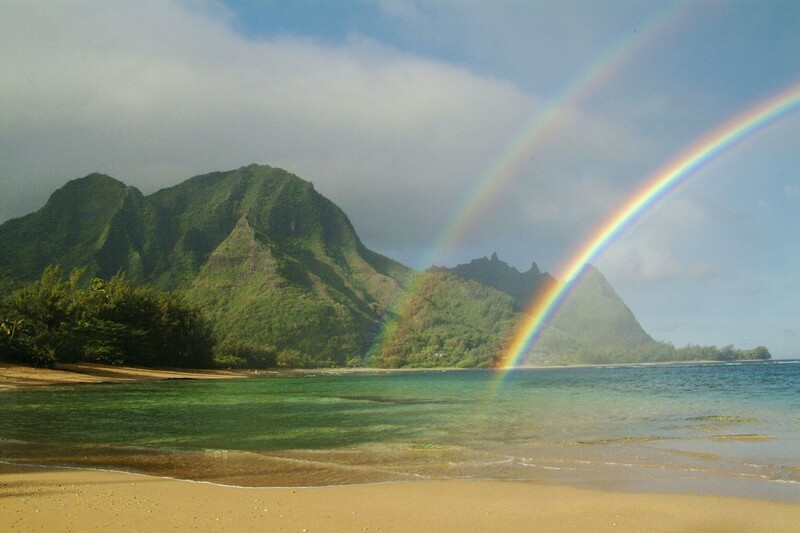 *Rate per night plus Hawaii taxes 14.712%), outclean fee, damage protection $49, admin $50. Please contact me with information regarding Kapaa Shore 117. Property very clean with maintenance on hand every day. Sometimes you stay somewhere and you understand that some things described are true...but barely. This condo was just as described. Great views of ocean and pool, great location, well-stocked kitchen and bathroom. Some bonuses: closet had extracurricular equipment such as boogie boards and a ice chest, very handy. I noticed that other units of the complex were not upgraded, but this one was. Recessed lighting, great furniture, comfortable bed...we loved it. The unit did not have an AC, but did have a dehumidifier. However, we had the ceiling fans on and didn't have an issue. Definitely would want to stay here again! Thank You! Great condo on an amazing island. Loved our stay here! Great condo with million dollar view! Our stay at Kapaa Shore B117 was the perfect location on Kauai for us for our 2 weeks vacation. It is very close to everything ( grocery store, shopping, bike rentals next door, etc..... ), and just a short drive away from the north, south and west sides of the island. 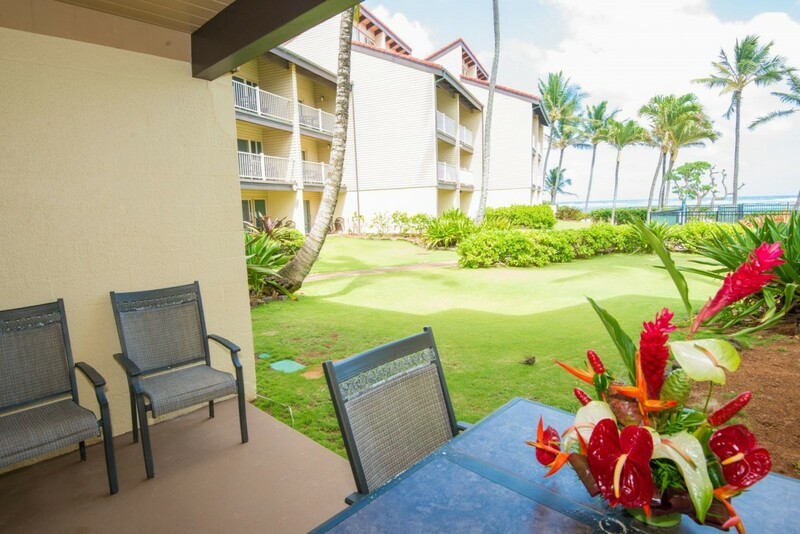 Waking up to the view of the ocean and sounds of the waves, just a few steps from our lanai was a real treat. The condo is nicely decorated, clean and well maintained. We enjoyed use of the pool and hot tub after our days out exploring the island. The grounds are beautifully maintained and has a nice BBQ area and shuffle board. We will definitely be back. Mahalo! Nice ground floor condo at Kappa Shores with a beautiful sunrise view! We enjoyed our stay in this ground floor 1 bedroom. 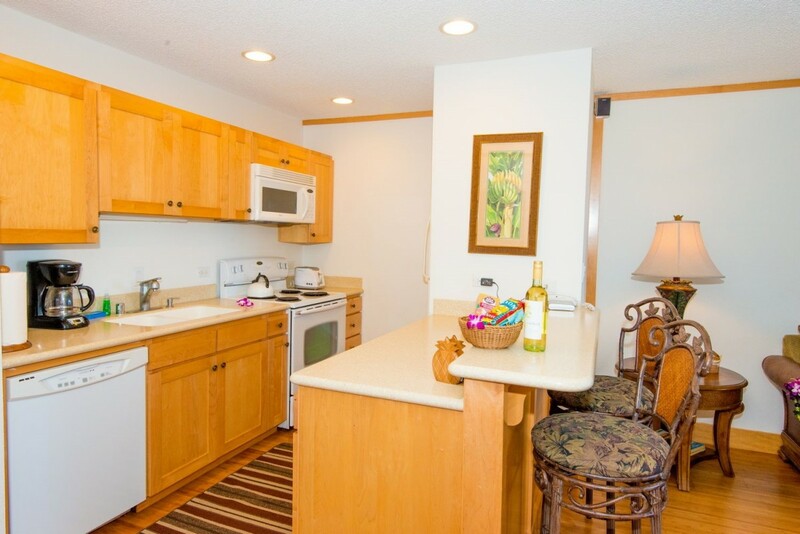 The condo, 117B, was clean, comfortable and well equipped and had a beautiful straight on view of the ocean. We liked being able to walk out of our sliding door to the pool, barbeques and to watch the sunrise! There was good morning coffee/tea and afternoon "pog" set out in front of the office by the very friendly staff of Kappa Shores. The grounds, pool and barbeques are well taken care of. The grills are cleaned every day. There are excellent restaurants and 2 grocery stores within a 5 minute walk. We found Kappa a great location from which to explore the island. Booking with Candace and Michelle was a pleasure. They were friendly, professional and quick to answer any communication. There was a wee bit of sound coming from upstairs when it was occupied by a family with small children (which did not bother us) but other than that a very quiet unit and complex. Enjoy your stay and be sure to try the fish tacos at the nearby Sleeping Giant Grill. 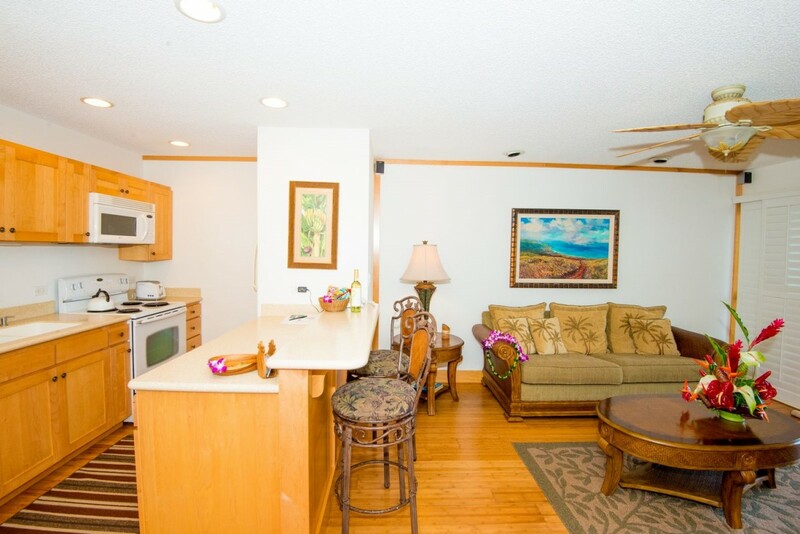 This was our second stay at Kapaa Shores in subsequent years and we were very pleased with this particular unit and the amenities provided. The location is central to the Island. Just bring your flip flops! Great condo for a vacation! The condo is spotless, has many extra conveniences and is attractively decorated. The complex has a pool and a wonderful grassy area with shade to relax in with an iPad, a kindle or a book! This condo is kept in great conditions from the room itself to the grounds & pool. It was very easy to feel comfortable here. The kitchen was equipped with everything needed and then some. We utilized the pool area a lot, and the lawn chairs on the beach. I was concerned about not having a laundry right in the room but the shared laundry is very close to the room it wasn't a problem at all. If it was just my husband and I this would have been a 5 star in our books. My only "complaint" (if you can even call it that) was that we rented a pack n play for our daughter for the week and when we arrived to the condo at 10pm we tried setting it up but it kept collapsing. It was extremely old/warn out so we had to go to Kmart the next day and purchase a new one which was a bit of a blow. Also the floors of the condo are very creaky so it was hard to keep quiet walking around while the baby was sleeping. aside from the creaky floors and pack n play (which isn't worth getting bent out of shape about) this place was worth every penny spent and we were very impressed, we highly recommend, especially for a couple! PS to the owner: We ended up staying at one of your rental homes in Aliomanu Bay for our second half of our vacation and left the new pack n play there. Maybe it can be put in this condo for future guests! ?